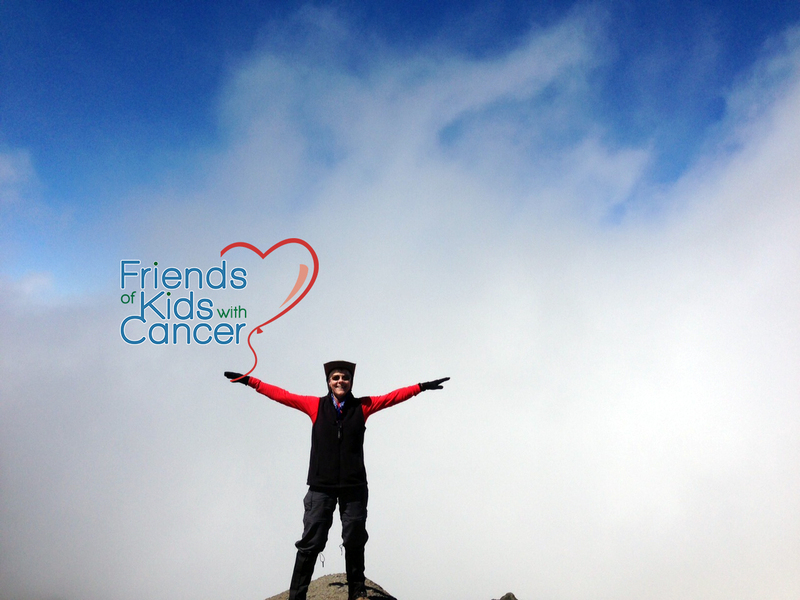 Friends of Kids with Cancer | Houston Woman climbs Mt. Kilimanjaro to support 'Friends'! Houston Woman climbs Mt. Kilimanjaro to support 'Friends'! Bonnie Dinkel from Houston, Texas wanted to fundraise for Friends of Kids with Cancer and to honor those who have or had cancer. Dinkel decided to climb to the summit of Mt. 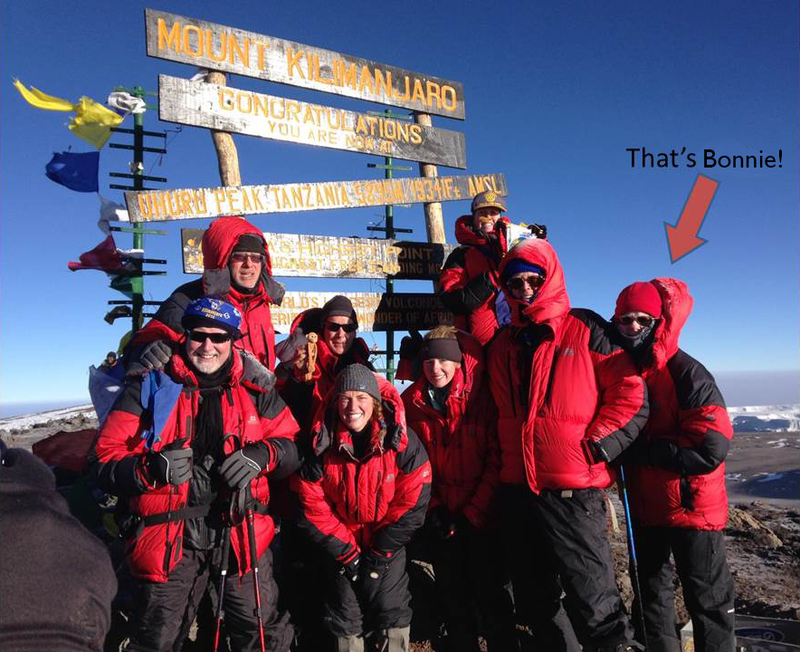 Kilimanjaro in Tanzania and at 7:25 am on September 9 she achieved her goal! Dinkel fell in love with Friends of Kids with Cancer at the annual Third-Party Event, Steelcase Wreath & Menorah Design Competition & Auction. Leading up to her expedition, Dinkel compiled a list of more than 150 of names of cancer survivors and any loved ones who lost their battle to take with her to the top of Mt. Kilimanjaro. She attributes her inspiration in reaching the summit to the list of names she put together. "It was the hardest thing I have ever done. It was -3 degrees and my water froze, so I dealt with dehydration and it was really hard to breath. My inspiration came from the more than 150 names I took with me. There was no way I wasn't going to get to the top." At the end of September, Dinkel raised more than $14,300 for the programs and services at Friends of Kids with Cancer! For more information or ways to contribute, please click HERE. What an incredible way to support Friends of Kids with Cancer and our mission of helping kids with cancer...be kids!